In the B2B working group we’ve decided to report the interview of another couple of participants, trough a visual storytelling. 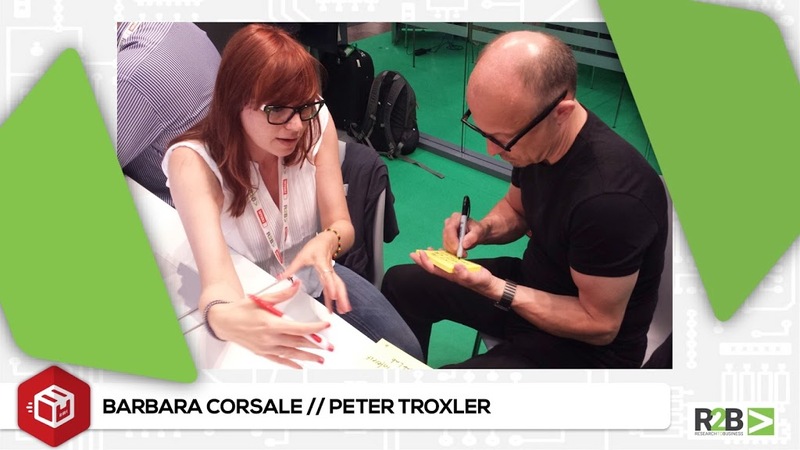 Barbara Corsale interviewed Peter Troxler on FabLab Zürich “Co-working space” project, while Peter interviewed Barbara on her three in one project by Fablab Reggio Emilia called “Fablab 4.0”. 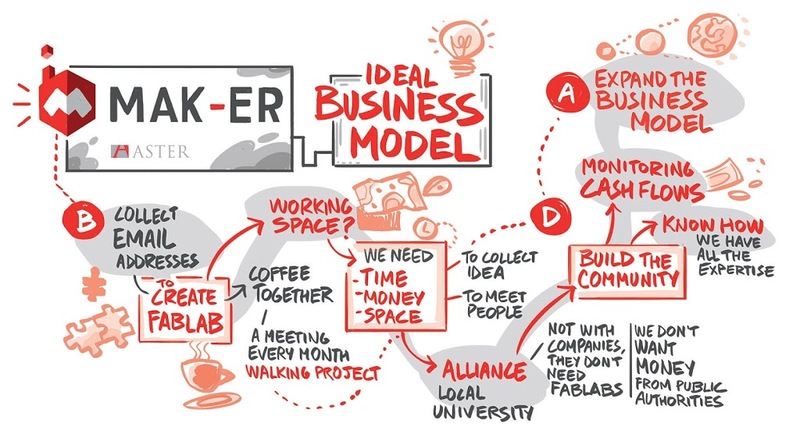 “Fablab Co-working space” consists in providing co-working space (desks, Internet access, shared facilities) for professional designers, engineers and architects which includes direct access to the prototyping and model making facilities of the Fab Lab. Fablab 4.0 is a three in one project composed by three spin off: Train-ER for innovative business model, Industrial metal 3D printing for innovative business model, and Officucina for innovative business model.